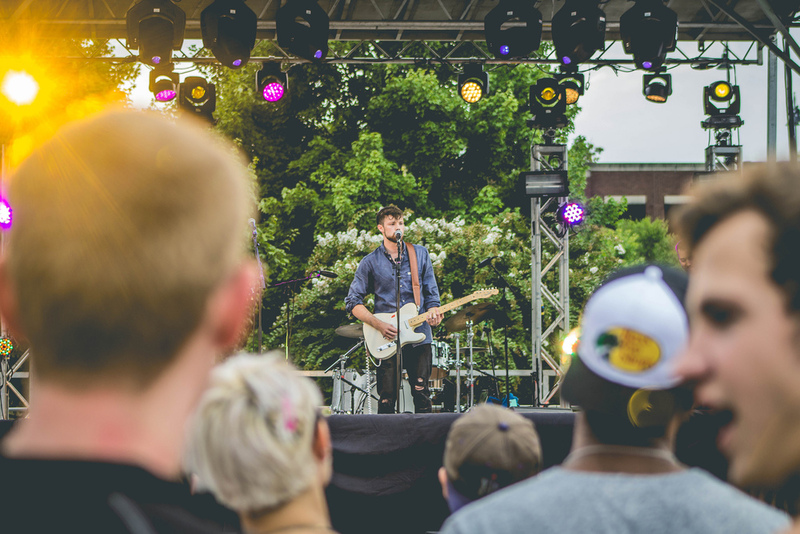 "With members from Ohio, Tennessee, Virginia and Michigan, Nashville alternative rock group Constellations formed as college freshman at Belmont, in August, 2014. Less than two weeks after first meeting, Constellations auditioned for, and performed in the 2014 Belmont Christian Showcase Series, in the Curb Arena for over a thousand students and industry professionals. The members wrote the remaining songs of An Honest Heart in Pembroke Hall at Belmont, and recorded in Ocean Way Studios in Nashville. " Influenced by bands including The Killers, Kings of Leon, Jack White, and Coldplay, Brave Town is bringing a fresh new sound to the Nashville scene and beyond. Brave Town is Jay Ragsdale, Michael Kelley, Lucas Morton, and Dan Crotts. Brave Town has performed shows all over Nashville, been voted Deli Magazine’s Artist of the Month, received airplay on Lightning 100’s ‘the 615’, played a sold out show with Guitar Center’s Singer-Songwriter contest winner, Josh Doyle, and is currently preparing to release new music produced by Paper Route’s Chad Howat. Nodaway is the hypnotic brainchild of Chris Jobe. Currently based in Nashville, Tennessee, Jobe enlisted the help of a few heavy-hitting players whose combined energy and collaboration bring the ecstatic sounds of Nodaway to life. until he moved to Nashville to attend Belmont University for music, that he would find his harmonious center of gravity. A blend of danceable yet intelligent indie rock. In the fall of 2014, what started out as five college freshmen sharing dorm life and a passion for music became the pop punk band Better Eyes. After playing their debut show at Nashville’s Rutledge in December 2014, Better Eyes’s schedule picked up immediately. They recorded their debut EP “Coming to Grips With It All” at Sound in Silence Recordings with Aaron Isaacson. After releasing “Coming to Grips With It All” in February 2015, Better Eyes hit the Nashville pop punk scene full force playing at popular venues like The End and Rocketown. Mocha is a funk/soul/R&B band that loves to make people groove with an eclectic set of original and cover music. The seven piece group hails from Nashville where they have become a growing force in the local club scene in addition to studying full time at Belmont University. Young, driven, and highly original, Emma Place represents the new wave of fresh, original, pop country in the best way. Raised in Southern California, home to artists such as Colbie Caillat, Jack Johnson, and John Mayer, and being exposed to country songwriting greats like Bob Dylan, James Taylor and Emmylou Harris from an early age, it was never just one genre that inspired her. Instead, it was a combination of these pop, country, and Americana influences that pushed Place to perfect her craft and find her identity as a songwriter.